Your career in Films....The line itself Sounds Grt.is't it...'Cinema'-Word with Charisma,Magnetism.It has the power of getting you Name,Fame and Monetary Values ,All at a same time.None other profession can offer you much more than that.Everyone has a dream to be a part of it in whatever interest they have in..ie.being anActor,Director,Cinematographer,Editer,Art Director,Sound Designer etc..You are blessed if your Passion becomes Your Profession. 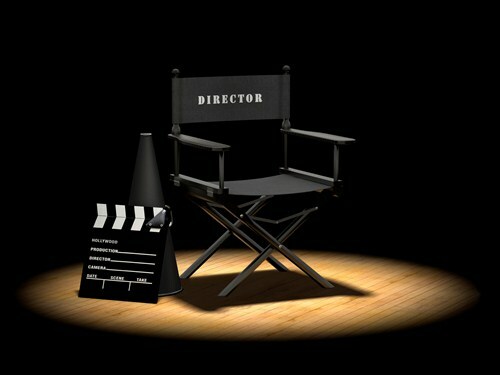 To be sucessful in any Profession,You should Learn it in prior and Know it to the core..These applies to Film Making too..Simply watching movies alone cannot make you a Film Professional.This Industry is highly Competitive.Only Best of the Best can survivie it it.D STUDIO FILM INSTITUTE aims at making you one among them.DSFI focuses on comprehensive learning covering each and every aspect of film making.Even if you are interested in acting ,you'll be a step ahead of others if you have technical knowledge too.Learn every aspect of the film making process.Then find out what you want to specialize in and run with it.If you are here,You are in the right destination to reach your Goal..ie to shine in Film Industry..AGE NO BAR.Anyone with passion towards cinema can join us. Dstudio Film Institute offers 1 year and 3 months Course in Acting,Direction and Cinematography.Weekend classes are available for Students and Job goers.So anyone with keen interest can make use of it and became a film professional. DSFI offers special acting training classes for kids.Because in tender age,its easy to learn anything and if learnt in this age,it wont go off from them.Nowadays many children are highly talented and if they are given proper training ,they can make wonders.Moreover..Parents want their children to gain name and fame which only this field can provide.Kids have vast chances in advertising field too.You can try it in weekdays just as a fun and learning experience. "FILM MAKING IS A CHANCE TO LIVE MANY LIFETIMES"
Todays world is digitalized,Film Industry is no exception.Yes!We are in Digital Film Making Era!We are no longer in costly and time consuming film making made with film rolls.Now everything is stored in hard disks.Very easy to erase and re use if anything goes wrong.We can experiment anything,re shoot as much as we need or it perfectly come out.Just like writing on a paper with pencil and erasing it with erasers.Hence now everyone started making their own movies,their own imaginations just like writing a poem.But creativity and imagination depends on each ones capacity and capability to think and create.Thats the main point now.Solid story and interesting and riding screenplay is the need of the hour,that everyone cant get..For that scarecity is there in our Tamil movies.Now script is the hero and not the actors.So along with technical knowledge one should also improve their brainy talents to succeed and survive in this industry.In old method,it was film rolls used..which cannot be reused..If anything goes wrong,it should be thrown off and new rolls should be used.Film rolls are also very costly.Director need to finish the movie within the said budjet.Thats one of the foremost qualities of a film maker here.So they had many rehearsals and practices before coming to the original shoot.So that they can finish it perfectly without wasting film rolls.So only very talented trained actors can only make it easy..So anybody cannot become heros or heroines.or even other actors. So now many are coming out with their short films but how many are meaningful,watchable..Thats the thing..That we focus on in DSFI.A Film Maker should have or should develope wide knowledge base in various fields.In this aspect only Directors like Manirathnam,Shankar,Murugadoss etc stand unique.Then only they can come up with logical,meaninful movies..